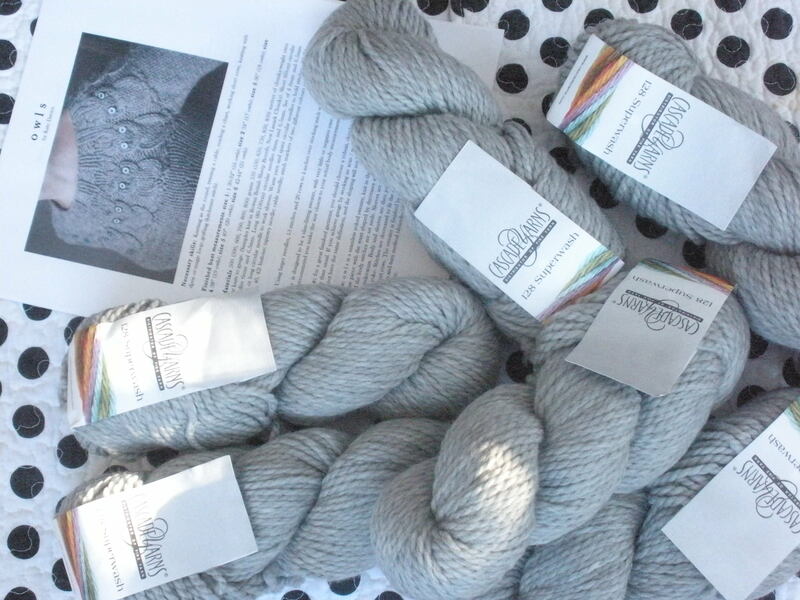 I have scrumptious, squishy yarn all ready for a project I’ve been eyeing for two years. I’ve had this yarn for nearly a week, and the skeins aren’t even wound yet. This is very unusual; I never wait to rip open my packages and set to work. I’ll do almost anything to get my needles going: cut off conversations with long lost friends, tell my children their homework is done, buy pizza, stay up way past my bedtime, avoid real work, anything. This time is different. I decided to take the plunge and knit Kate Davies’ Owls. I’ve admired this pattern for so long, and despite being terribly afraid that it will look ridiculous on my no longer youthful figure, Kris’s link to the darn.knit.anyway. twelve sweaters in twelve months sent me over the edge. February is OWLS month, and I just — bought the farm. I’m in. I’m going to do it. I love this sweater. I love owls. And recently I’ve discovered that I love Kate Davies as well. She is a knitter, a creative designer, a walker and outdoor enthusiast, she is an amazing historian, a wonderful photographer, an artist, and a darn good storyteller. And this past year Kate has written the most articulate, insightful, penetrating, astonishing account of her recovery from a stroke. I am blown away. I look at my cuddly yarn and the well written pattern and I feel trepidatious. I feel the way I felt when I was fourteen and couldn’t bring myself to talk with a boy I had a crush on. This is not rational, I know. It’s a knitting project for heaven’s sake. A sweater! A sweater that thousands of people before me have already knit, designed by a woman who lives an ocean away in Scotland. I can do this, I know it. I just have to bring myself to start. Take the first step. Pick up those pointy sticks. This entry was posted in Art, Knitting, sweaters, Uncategorized and tagged Arts, Crafts, history, Knitting, Knitting and Crochet, love, Scotland, Sweater, Yarn. Bookmark the permalink.